One family tha begs to differ has sued the city; their attorney wants independent experts at city lead inspections. The attorney suing Mayor Bill de Blasio on behalf of a lead-poisoned 4-year-old Brooklyn boy is asking the court to allow independent experts to be present as the New York City Housing Authority inspects thousands of public housing units for lead paint hazard. In a letter to federal judge William Pauley Monday, attorney Corey Stern accuses NYCHA of “rushing to inspect residences,” and warns there’s a risk the city could try to destroy evidence. The I-Team reported Monday NYCHA is currently attempting to get into compliance with Local Law 1 by quickly inspecting more than 4,200 units with young children in the last ten weeks of 2017. These inspections come after NYC officials revealed they had failed to perform mandated annual inspections between 2012 and 2016 and filed false paperwork with the federal government. NYCHA officials denied the the inspections were being rushed, telling the I-Team there’s a difference between urgency and haste. "We have qualified inspectors conducting this work, and a rigorous quality assurance that screens random apartments to make sure the inspections were completed properly. We are putting our residents’ health and safety first," said Jasmine Blake, spokeswoman for NYCHA. De Blasio says this is the second round of inspections for apartments presumed to contain lead paint, and in which children under age 6 live. The first round of inspections began in the summer of 2016, according to top housing officials who claimed that’s when they learned they had failed to inspect for several years. And it appears the majority of apartments inspected last year displayed possible hazards. A NYCHA spokeswoman says of 4,232 units visually inspected, peeling or chipping paint were found in more than half. In 2016 alone, 2,363 of those units were repainted. But peeling and chipping paint is visible on the walls of Kyan Dickerson’s apartment in the Red Hook East houses. 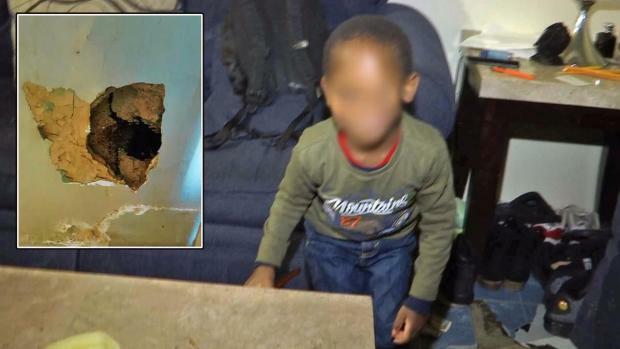 Kyan’s mother, Sherron Paige says NYCHA eventually sealed up a pizza-box sized hole in their wall, but did not repaint, nor otherwise abate the lead hazard in their home. Kyan was diagnosed in July with dangerously high lead levels in his blood. His mother says he has suffered developmental delays as a result of his exposure. 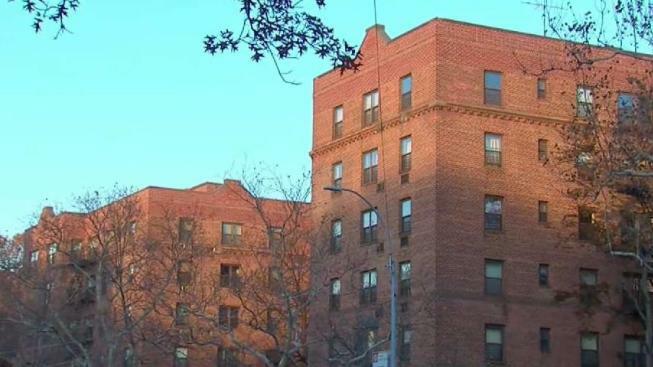 As the I-Team reported, housing officials initially denied the presence of lead in Kyan’s apartment, despite findings to the contrary by the NYC health Department. NYCHA declined to comment on why Kyan’s apartment has still not been painted, citing the ongoing litigation. Housing officials insist they have qualified inspectors from an outside vendor performing the inspections, but they also declined to name the vendor.